The technology of sending, receiving and storing information via telecommunication devices in conjunction with affecting control on remote objects. 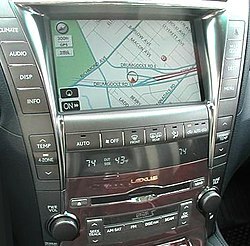 Telematics includes but is not limited to GPS technology integrated with computers and mobile communications technology in automotive navigation systems. Most narrowly, the term has evolved to refer to the use of such systems within road vehicles, in which case the term vehicle telematics may be used. According to Lexis Nexis during the first quarter of 2014, they commissioned an independent firm to conduct two studies. The first was a study of 2,000 insured consumer drivers, ages 21-74, who were the policy decision makers for their household. The results of the study were compared to similar research LexisNexis had conducted in 2010 and 2013. The second was a study of 409 small fleet managers who were policy decision makers coordinating fleets of 2 to 20 vehicles. For further reading and info graphic to better depict their study click here. Lexis Nexis help insurers assess their risk and streamline the underwriting process in 99% of all U.S. auto insurance claims and more than 90% of all homeowner claims. LexisNexis C.L.U.E.® Auto, the industry standard loss underwriting database for the U.S. auto insurance market, represents a 99.6% industry contribution. To learn more about Tulsa Insurance Guy Click Here.